The splashy foodie fundraiser benefits the Arthritis Foundation. The splashy foodie fundraiser benefits the Arthritis Foundation. Head for Riviera Park in the American Riviera on Sunday, Sept. 9 for vittles galore and great beverages, too. TASTE OF THE TOWN, the annual fundraiser for the Arthritis Foundation. 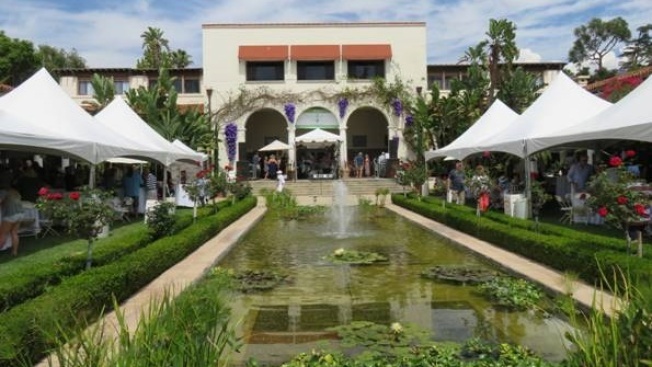 It's actually a two-dayer of a to-do, with a special Connoisseurs' Circle Gala Dinner at the Hilton Santa Barbara Beachfront Resort on Friday, Sept. 7 and the afternoontime Taste of the Town at Riviera Park on Sunday, Sept. 9. That's where you'll try "... unlimited samplings from the area's finest restaurants, caterers, wineries, breweries, and spirit providers," oh yeah. There's a silent auction, too, and jazz played right there by the David Tovar Trio. Providing the appetizing delectables and drinks? Finch & Fork, The Little Door, Mizza Artisan Pizza, The Nugget Goleta, Alma Rosa, and Cutler's Artisan Spirits. A general admission ticket is $125, and all the information you need on the Arthritis Foundation, and all of the good this yearly happening does, may be found here. ENJOY, Santa Barbara buffs, and discover some new dining favorites, the kind of spots you'll be visiting down the road, again and again.